I enjoy making craft and home decor projects to add to little spaces or vignettes in my home. 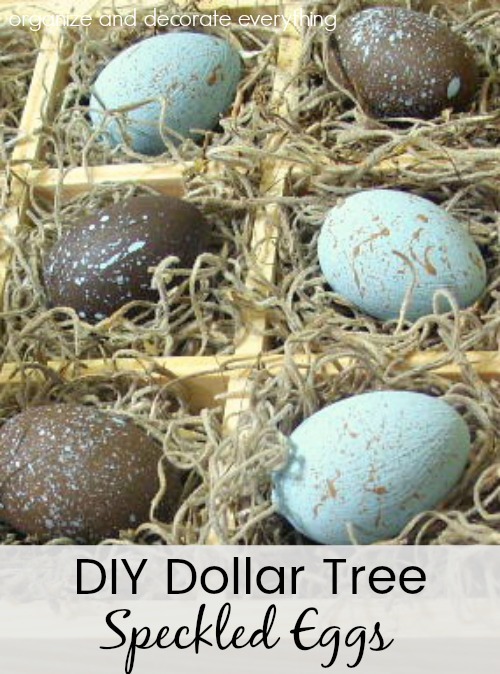 These DIY Dollar Tree Speckled Eggs can be displayed for Easter, Spring, or all year round. If you already have birds and nests displayed in your home these would be a perfect addition. 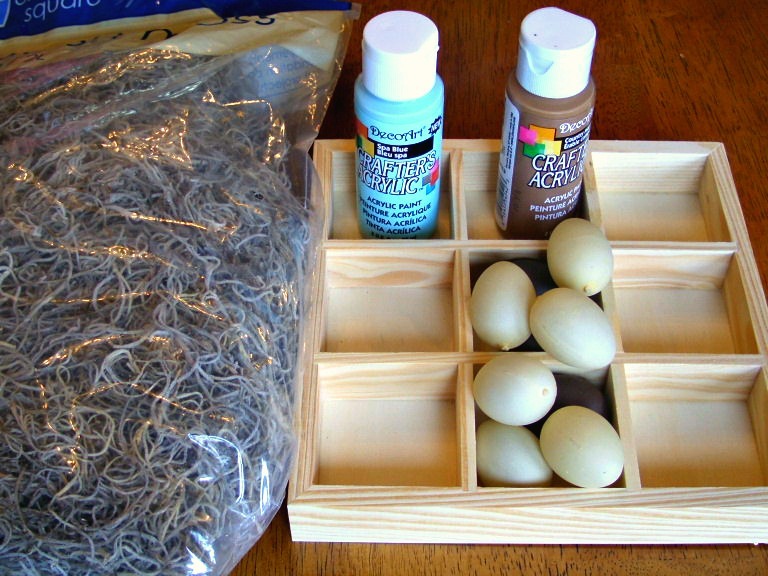 Make this cute eggs in a crate craft or simply make the speckled eggs to add to your decor. 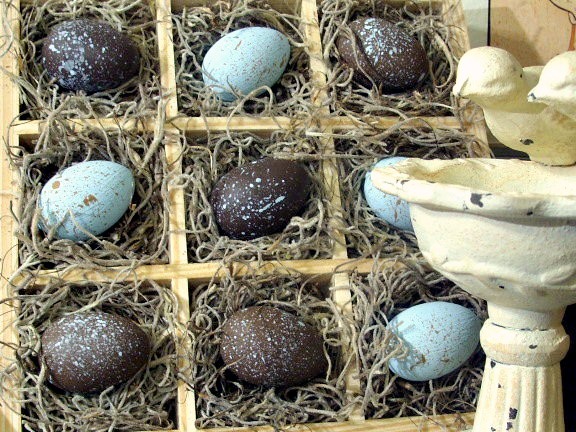 The eggs would also look great displayed in a basket, vase, or egg carton. The best part of this craft project is that everything is available at the Dollar Tree. I already had the paint on hand so if you have paints available just use what you have. It can be hard to paint shapes that have no true sides so this is how I usually paint circular shapes. Since these are plastic eggs it was easy to poke a small skewer through the bottom of the eggs. 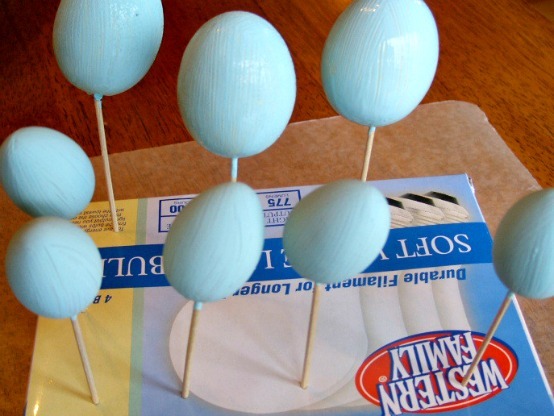 Hold the skewer while you’re painting them then stick the eggs in a box or piece of foam to dry. Brush on two coats of paint for better coverage. 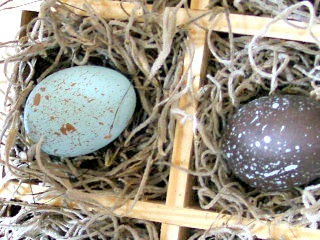 I painted about half the eggs brown and the other half blue then speckled them with the opposite color. 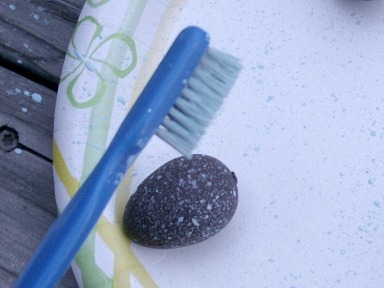 To speckle the eggs wet an old toothbrush and dip it into a small bit of paint. Direct the toothbrush toward the egg and use your thumb or finger to rub across the bristles to splatter the egg. Speckle the eggs as much or as little as you like. Grab a bunch of Spanish moss about the size as the palm of your hand and form it into a nest shape. 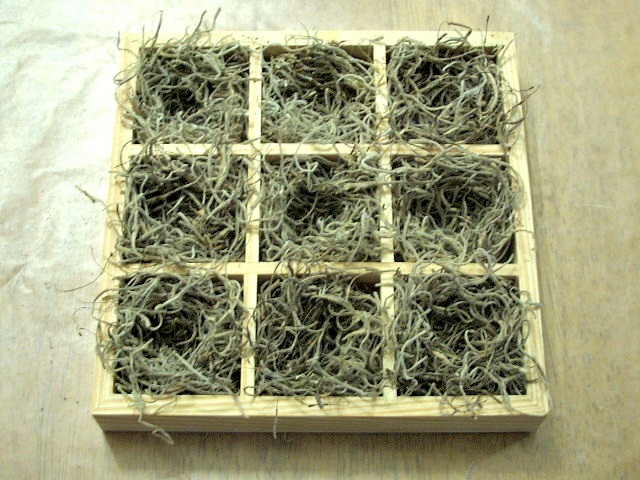 Place the nests in each area of the shadow box. 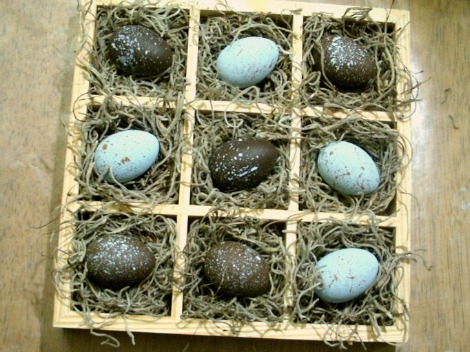 You can also make larger nests and place several eggs in each one. Just a little warning: this moss is super messy so I would cover your work area with something you can just throw away. The speckles can be uneven and random but that just makes them all unique. Have you speckled anything before? It’s a pretty fun technique.